Rose Floral Toner - 2 oz. 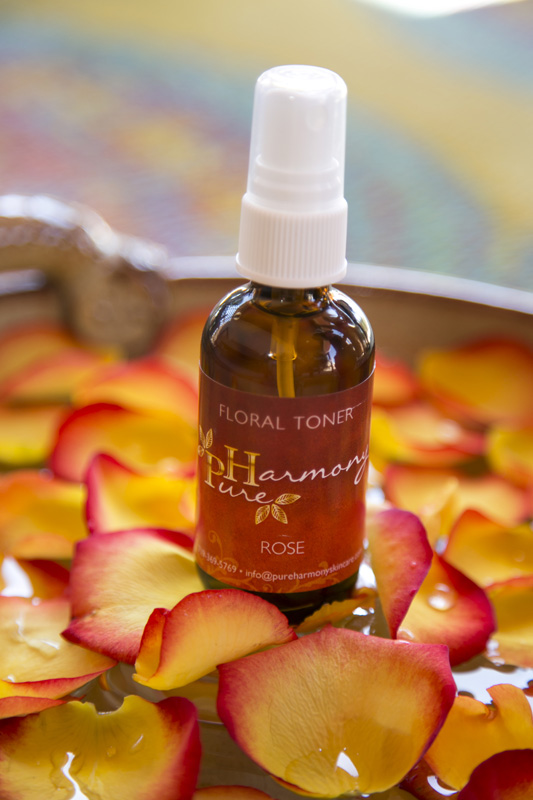 Home » Skincare Products » Rose Floral Toner - 2 oz. A refreshing and balancing skin tonic suitable for all skin types. Rose penetrates deeply to promote cellular regeneration. It has astringent properties that help reduce inflammation and redness. Instantly cools, refreshes and brightens the complexion. The sweet fresh aroma also has anti-anxiety and anti-anger qualities that bring a sense of balance and harmony. Spritz or apply to face with cotton ball after cleansing morning and night. Follow with appropriate nourishing oil. Can be used any time of day for refreshing, soothing and hydrating skin. To preserve the purity of these ingredients, store in a cool, dry place away from sunlight and moisture. Room temperature or cooler is fine. Close bottle tightly after each use. As these products contain no preservative, please use within 4 – 5 months.